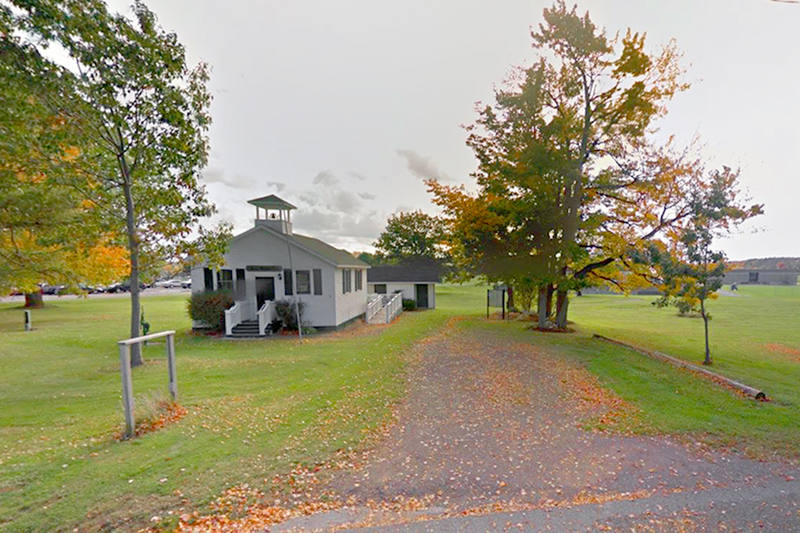 The One Room Schoolhouse, also known the O’Mara Welcome Center, is located off Route 104, to the north of Romney Field House. The One Room Schoolhouse, also known the O’Mara Welcome Center, is located off Route 104, to the north of Romney Fieldhouse. The building first served as a one room schoolhouse, but it was discarded in 1913 and used as a chicken coop for several decades, until 1973, when the schoolhouse was rediscovered. Today it has been restored and preserved as a landmark of Oswego. Within the schoolhouse are traditional resources and furniture depicting a classroom from the late 19th Century.